Parking Insurance : Is There Such a Thing? Home > Blog > Parking Insurance : Is There Such a Thing? Very often, we come across situations where drivers request “parking Insurance” or want to take a unit completely off their policy. In most cases, the request is due to vehicle maintenance, prolonged vacation or a seasonal break. “Parking Insurance” is a term used in the insurance industry to describe stored vehicles. For a personal auto policy, parking insurance would require a comprehensive policy, which would cover a parked vehicle in case of fire, storm damage, theft of auto, and flood. It is not legal however to drive with a Comprehensive only coverage and does not cover damages caused to other cars. Most insurance companies offer this type of coverage for personal autos, as they do not require Federal Filings. 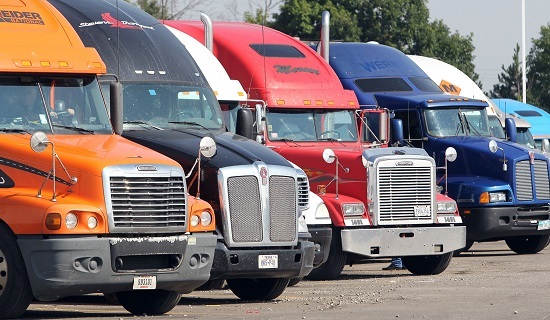 Trucking and commercial policies are different in nature as you are also dealing with DOT filings and Motor Carrier Authority. All for-hire vehicles operating interstate require an MC and this includes Auto Liability filings of 300 thousand to 5 million depending on type of operation. Intrastate vehicles may require state filings as well. Although Physical Damage and Motor Truck Cargo are optional coverage’s, removing AL from your policy will cancel your MC authority. If your vehicle is in maintenance, in most cases you are able to take it off your policy as long as you have a replacement vehicle. If you are going on vacation or taking a seasonal break, some insurance companies will allow you to put the vehicle on a limited radius and remove MTC and PD coverage. The only time when you can completely take off a unit off your policy is when you sell your vehicle or terminate a lease agreement. Canceling insurance in never the best option. Continual insurance allows you to demand better rates, get preferred status with brokers and shippers, and avoid cancellation and reinstatement fees on your authority. Before binding a policy with an insurance company, make sure to let your agent know if you anticipate any major changes in your business or operations within the policy period. Whether its seasonal breaks or the sale or purchase of new units, talk it over with your agent to get the best coverage for your business.